Dunhuang is a famous tourist city, located at the western end of Hexi Corridor in Gansu Province in northwest of China. 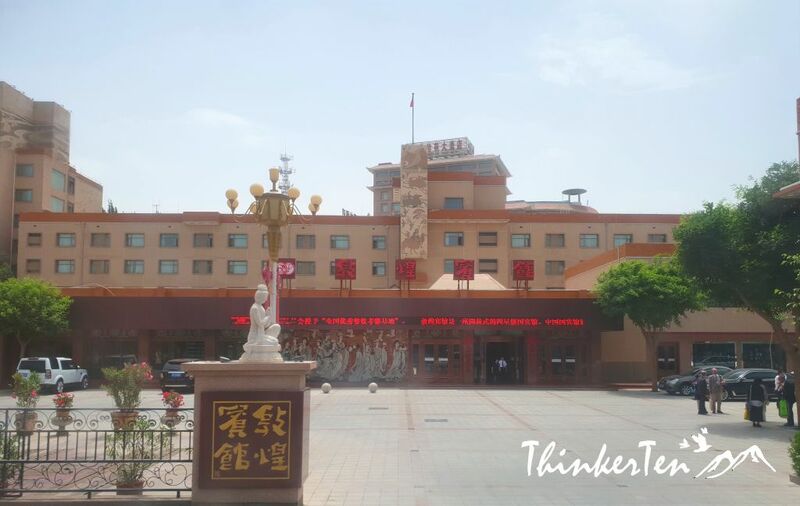 It is the major stop on the ancicent Silk Road. Dunhuang was always the capital of county, government office, town and province even though the government of Dunhuang changed many times. 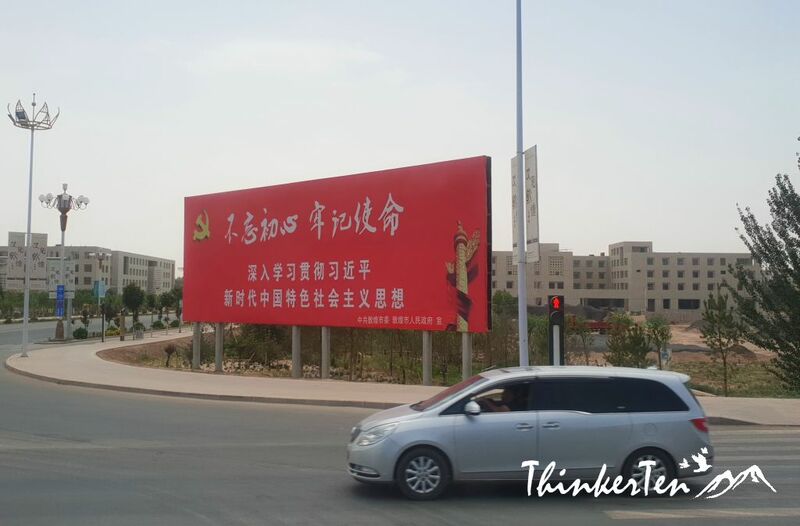 It is the last city that I spent in Gansu Province, China. The main staple food in Dunhuang is wheat flour noodles instead of rice. Usually noodles are served with lamb, beef and chicken. These were the food that I ate in Dunhuang. 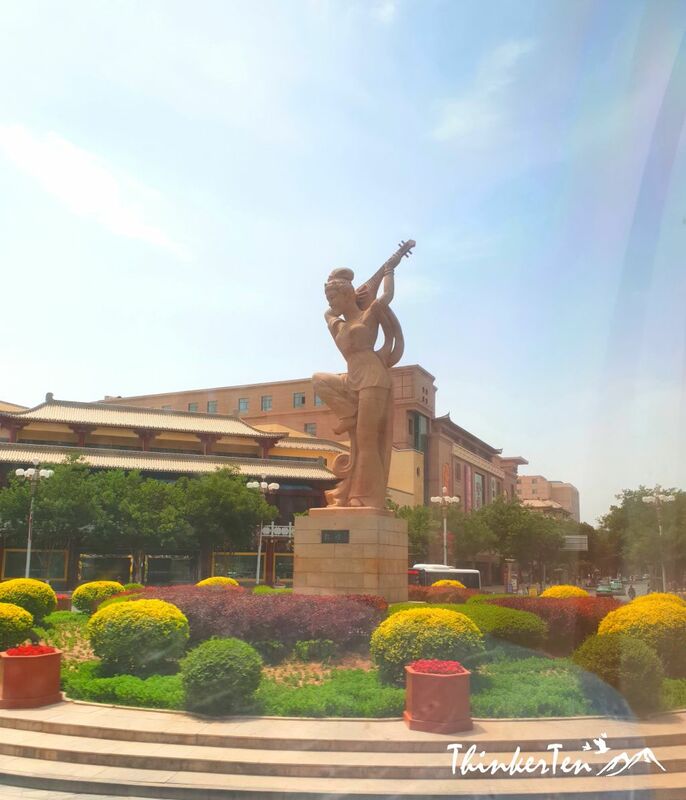 Camel Hoof on Silk Road – Highlight! We were quite shocked when the Camel Hoof arrived at our table. We were told is actually tendon and highly nutritious. The hoof is hard to find and very precious. In ancient time, only the Emperors were able to taste this dish. The camel hoof was braised with tofu at the bottom. 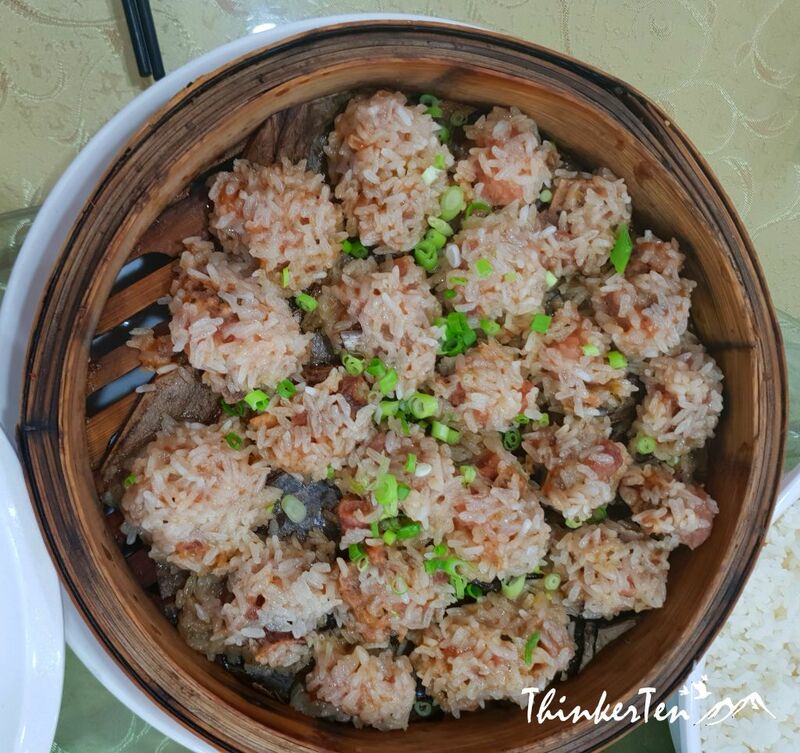 The texture is similar to sea cucumber. White fried beehoon were used as decoration to represent the sand dunes desert. White beehoon can be eaten too, quite crispy. We did not finish the dish as most people in our table weren’t brave enough to taste it. 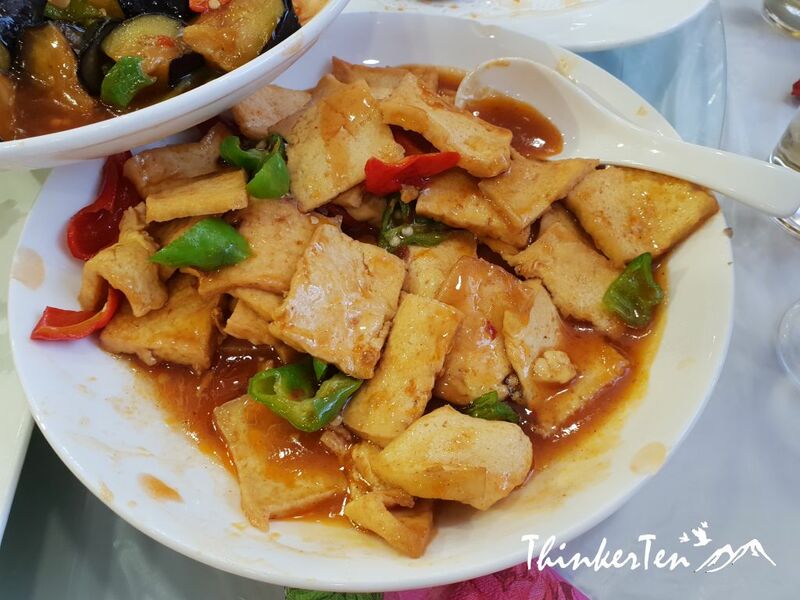 The tofu here is also cooked together with green pepper and red chili, may be just for the sake of their beautiful colors. The soup tasted very starchy which I don’t really prefer. 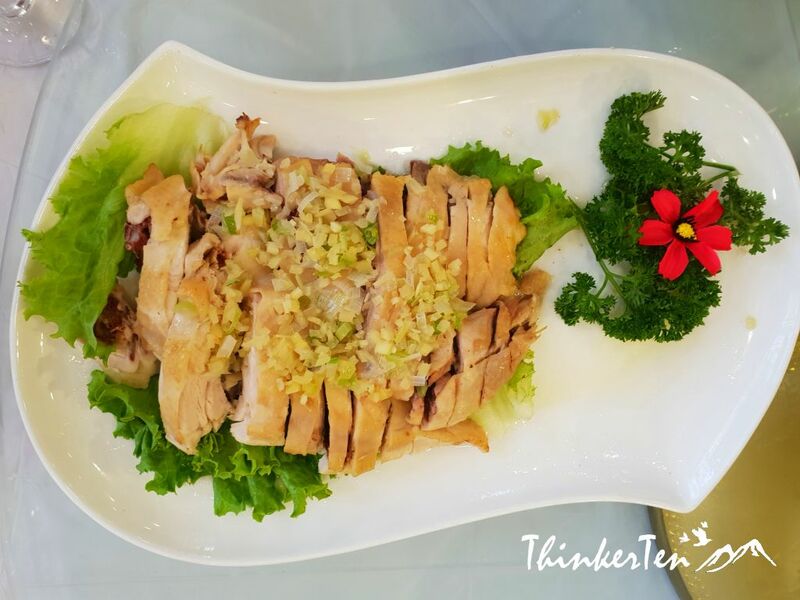 This dish is similar to our Singapore chicken rice chicken. 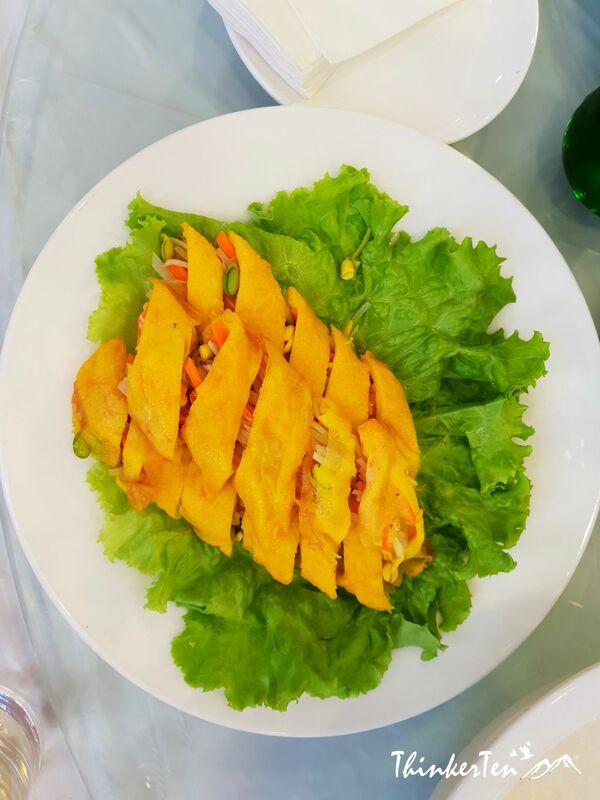 The filling were mainly vegetables, such as carrot and bean sprout. I am not sure what kind of skin these were, probably made from bean curd skin. This is like what we called “Satay” in Singapore and Malaysia, but without the peanut sauce for you to dip with. The skewers in Dunhuang are marinated with it special sauces, a little spicy and plenty of spice. The meat used is goose which was very soft. 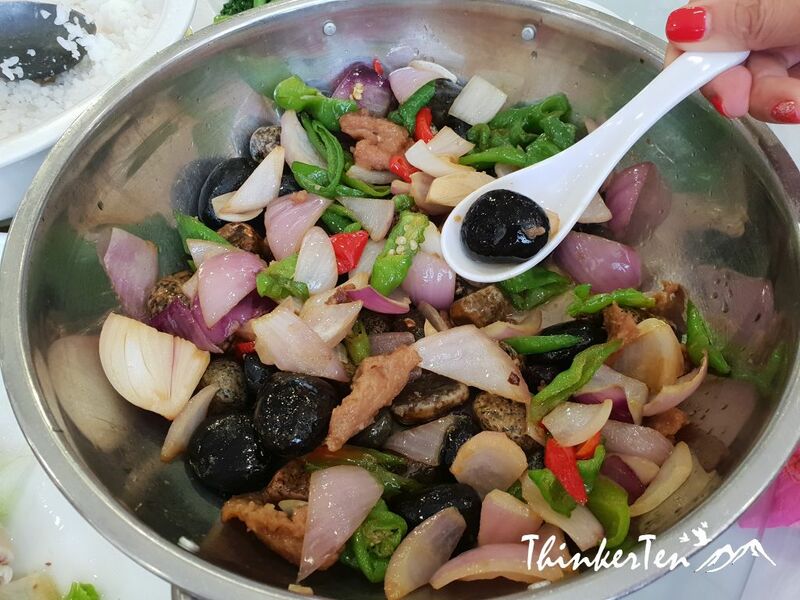 Cooked with green pepper, chili, onion and plenty of pebbles. Interesting. 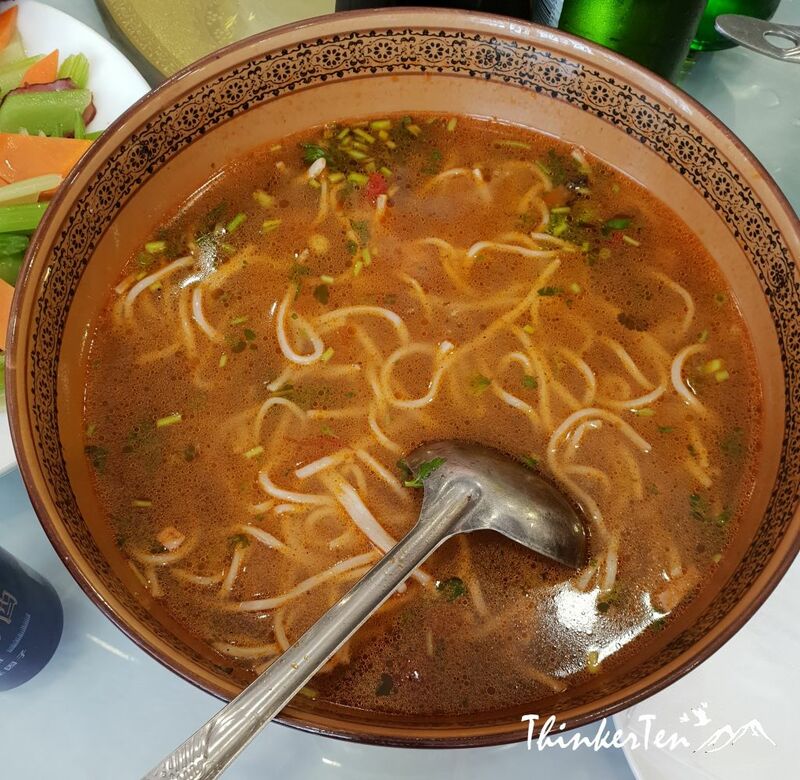 The Dunhuang Lamian tasted spicy and the noodles are hand pulled. Broth was tasty if is boiled with beef. First we notice the bun shape looks like a shell, quite pretty. The pork belly was extremely fat! The slice of pork are too thin. I like this dish a lot, the rice ball was steam and it is very soft when you bite it. This is the super healthy dish, everything in this plate is steam so it is super clean diet. 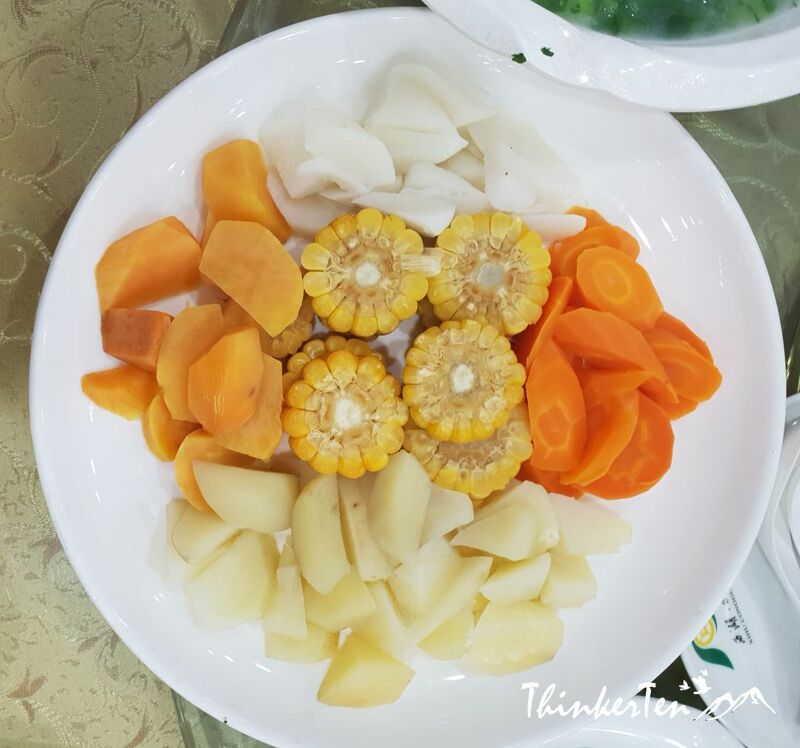 It consists of sweet corn, sweet potato, carrot, potato and Chinese Yam / Shan Yao. 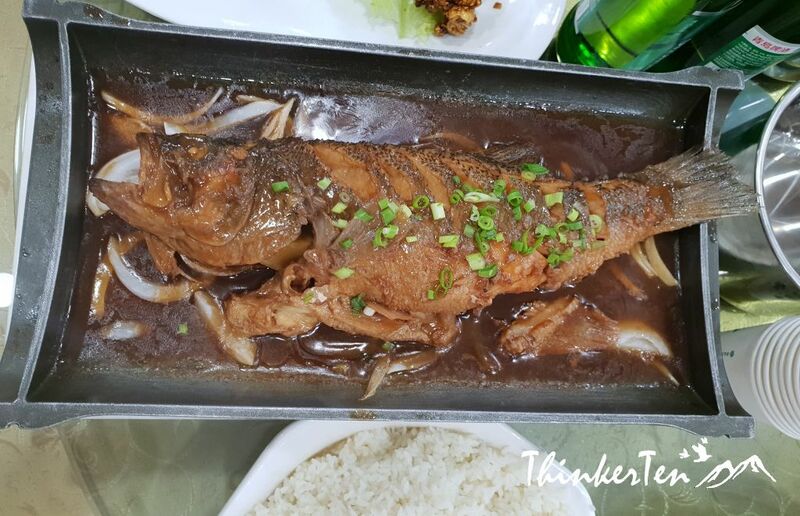 The fish in Dunhuang is river fish so be careful of the tiny bones when you eat the fish. River fish also has a very strong taste which I don’t prefer. 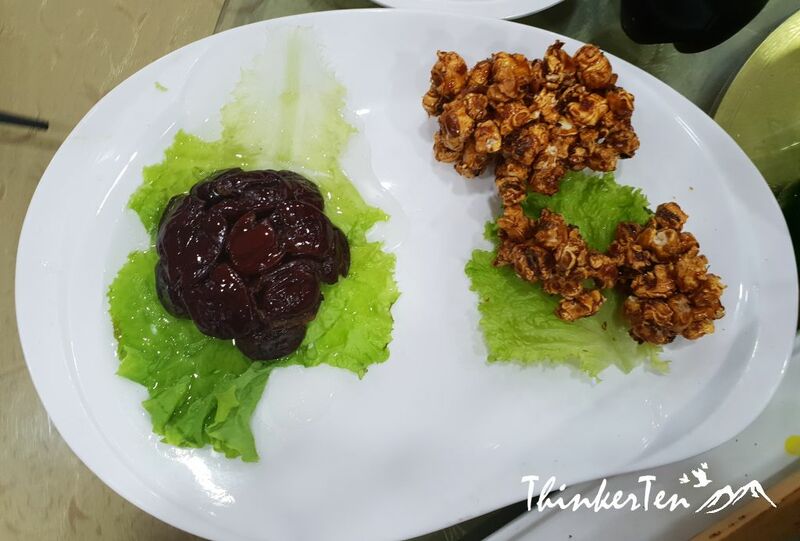 Quite surpise to find popcorn are served together with the braised mushroom. The popcorn tasted sweet. In Dunhuang one of the drink you needed to drink is Apricot Peel Water. 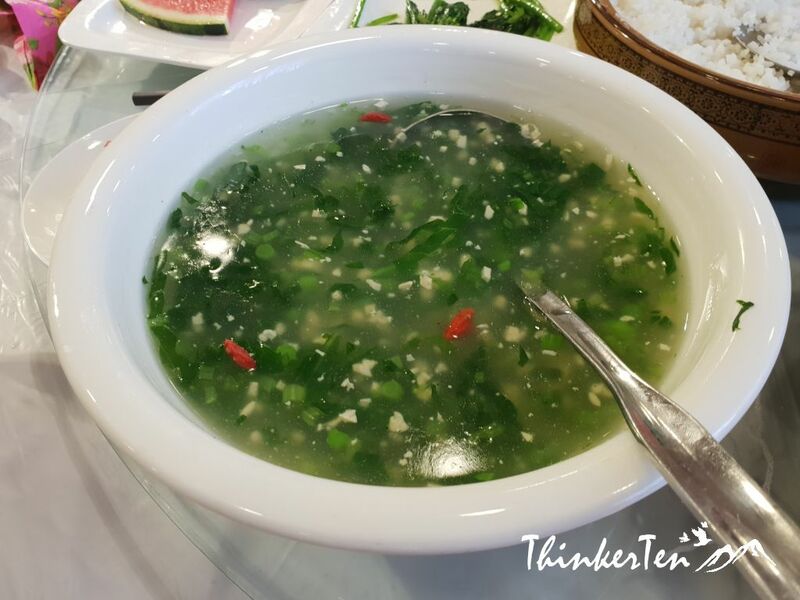 The taste is sweet and a little sour, making you feel extremely cool especially in the hot weather. In Dunhuang city, there is the iconic sculpture, Fetian – the flying Apsara who played the “pipa” at her back, a unique dance moved found in walls of Magao Gottoes. 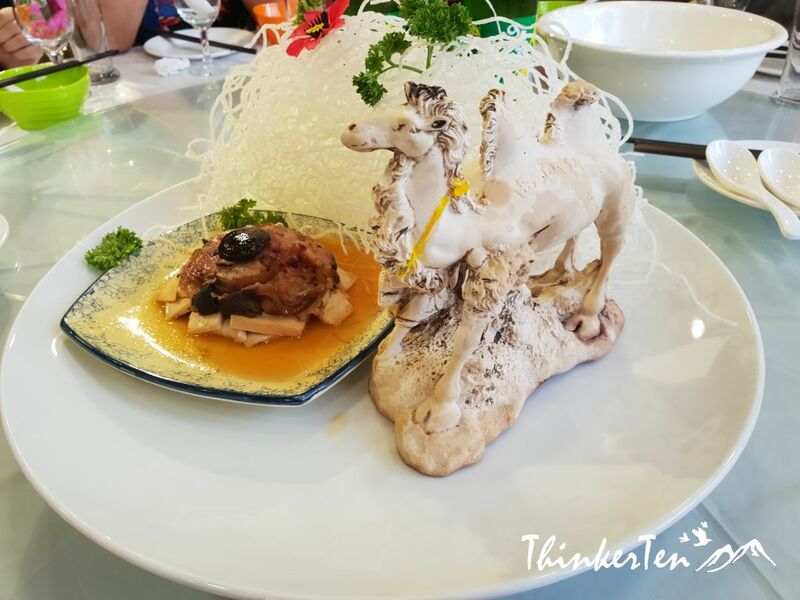 The one dish I can remember from the food in Dunhuang is – Camel Hoof Silk Road. It makes even harder for me to try this after an hour of camel riding in the Crescent Moon Lake / Yueyaquan in the afternoon. 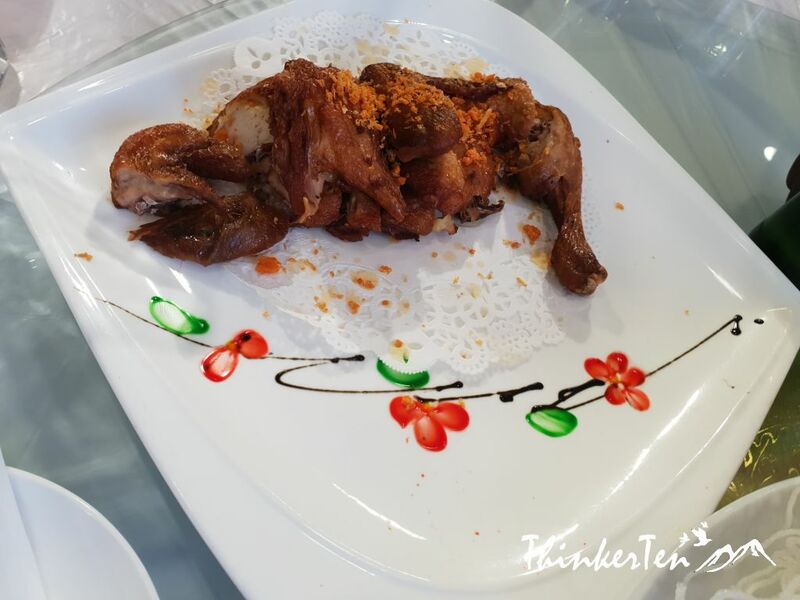 I pluck up the courage and tried a tiny bite since it is the most famous dish in Dunhuang. My son is a huge noodle fan and would love that soup. I love chicken and rices and they look delicious! 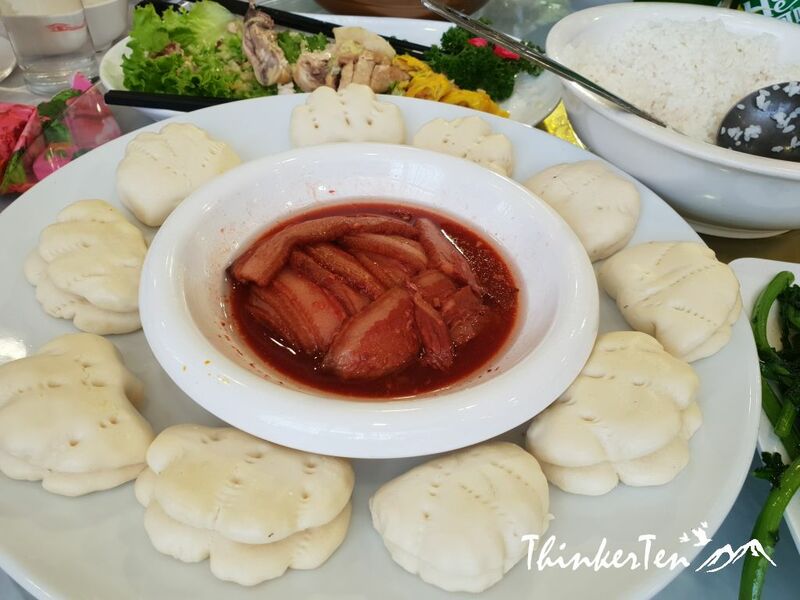 The best thing when travelling is exploring the traditional food the country or a place can offer to tourist. Food photos makes me hungry! The noodles look super tasty! I wouldn’t have been brave enough to try camel hoof. I won’t even eat chicken feet! The noodles in Dunhuang Silk Road China is one of the important food, people here eat more noodles than rice. People in the north of China usually take more flour that made into noodles, bun or made dumplings and less rice. 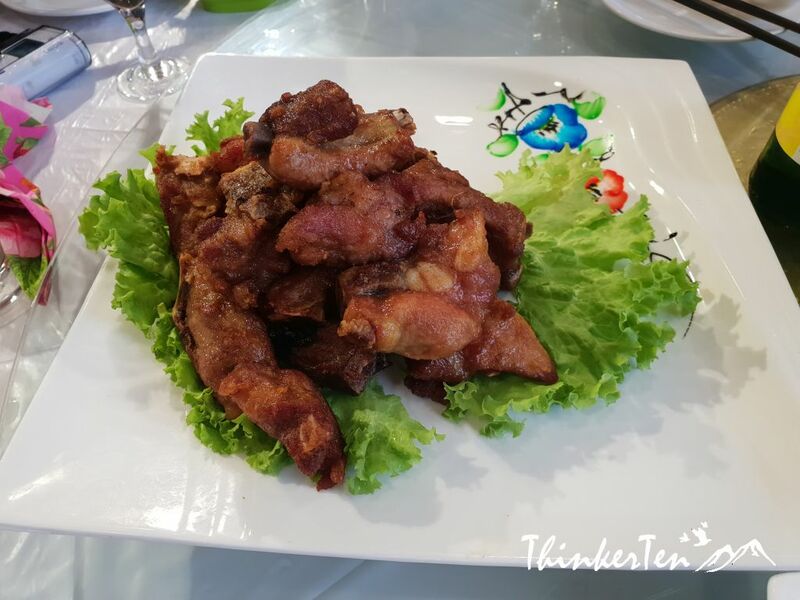 Yes, you are right chicken feet is another Chinese delicacy found in most dim sum places! All of the food looks so good! I would love to go and try some of these one day. Thanks for sharing! Thanks for your comment. Not only the food in Dunhuang is interesting, there are few attractions in Dunhuang which are quite stunning as well, such as Mogao Caves and Yueyaquan / Crescent Moon Lake. If you are doing Silk Road China, Dunhuang is one of the most most important town not to be missed!! All of these dishes look so good! Yum. The Beef Skewers and Noodles look delicious! All of these dishes look and sound amazing! I would totally eat there someday. 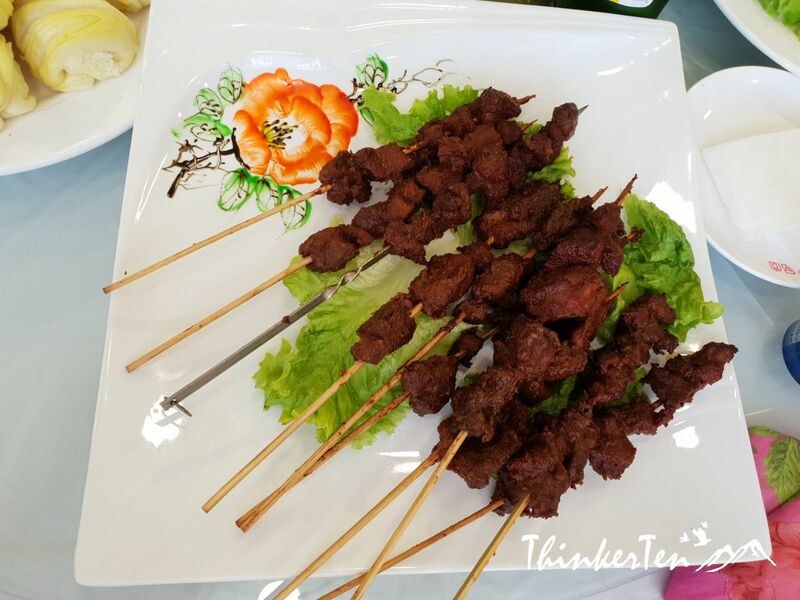 The beef skewers and noodles are the two important dish in Gansu China. People in north of China usually eat noodles and less rice. Beef skewers because of the nearby culture from Xinjiang, just next door so people in Dunhuang, Gansu also eat beef skewers. So many beautiful dishes! I love how they plate them. They are gorgeous. One of the dish was cooked with hot pebbles and I find it quite interesting. Just be careful dont bite them! This food looks so amazing! I would love to try it! The food looks so well presented and delicious. This looks like an amazing spot to visit and enjoy great company and food. The food here certainly look very well presented. However, some of us are so scare to taste the food and asked frequently what kind of meat they used for cooking the dish. All are edible and luckily there is no worm and insects used. I knew I wanted to visit for the history, but now I’m convinced I need to do a foodie tour. Everything you sampled looks fantastic. Thanks for your comment. Both history and food are my top favorite thing to do during my tour. From their food culture, you also get a lot of background history of these people. 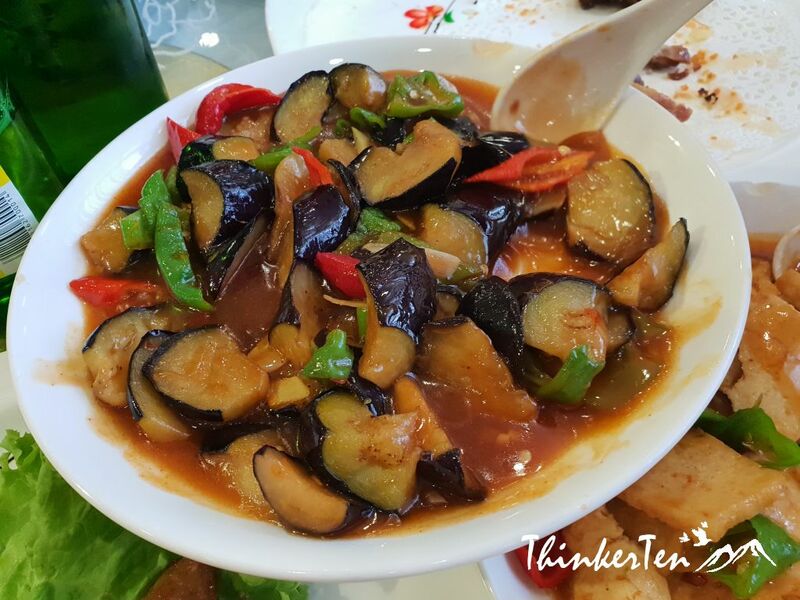 I am really happy to see a dishes from real Chinese restaurant , here I saw it in fusion version. dishes looks delicious, one day I would like to visit there. Totally these are several dish that is fusion from Xinjiang (little Persian) with Chinese dish. Pretty interesting, right. That is a gorgeous presentation on the food. Makes it all look so good.